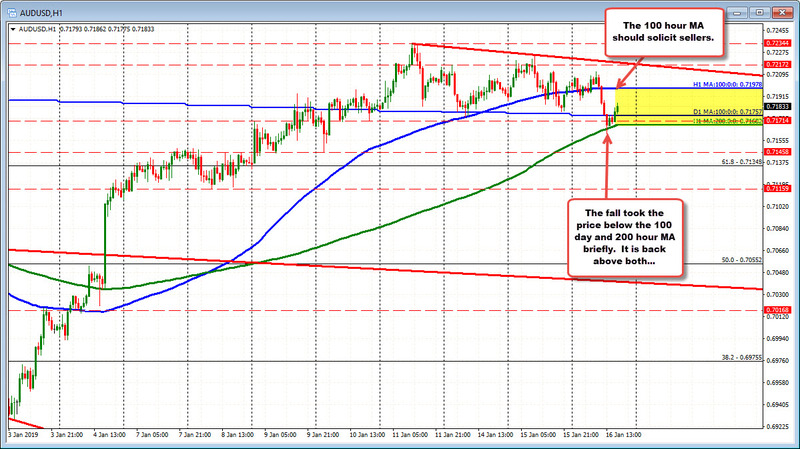 The AUDUSD fell in the London session and in the process cracked back below the 100 day MA and for a brief moment at least, the 200 hour MA (green line in the chart below). Those breaks should have solicited more selling, but it was not to be. Now, the pair is back above both MAs and trades between the 100 hour MA below and the 200 hour MA below. The "market" is unsure of the next move. Traders are playing the waiting game (it seems) and will now look for a stronger push, break and run.